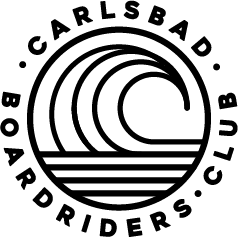 We had a blast with the Carlsbad Board Riders Club this past Friday for their surf film night! With more than 200 people showing up, the club raised close to $400 from raffle tickets and food truck purchases. The night kicked off with a local feature film, “The Art of Surfing Carlsbad,” followed by “Wi-5: A Bonzer Experience” with Taylor Knox. The club’s president, Paul Barr did a short Q&A with Taylor after the film - huge thanks to Taylor for making it out! The night ended with “Sunny Side Up” featuring Jordy Collins. Thank you to our friends at Rip Curl, GoPro, Vuori, TEN, Bubble Gum Surf Wax, Surface Suncare, and GoMacro - who went above and beyond to donate the raddest prizes for our raffle! Thank you also to our food trucks, The Beaten Berry and Dos Bandidos for not only providing delicious food to our guests but also for their generosity by donating a portion of their proceeds back to the club. Shoutout to Mamma Chia for providing healthy and delicious drinks to everyone who came out. Finally, a huge thanks to the make campus for letting us put on an awesome night for our friends and families here at our new home. Cheers to a successful night and more fun events to come.